A variety of unique nature and horticulture topics, which define and explain our South Texas environment, for winter visitors, other travelers, residents. Enjoy new acquaintances, with a cup of coffee. February 13: ADDING WATER FEATURES TO YOUR LANDSCAPE, with Denise Housler, co-owner of AQUARIA SERVICES. Learn how fountains, streams, ponds of all kinds, sizes, can add drama to your yard, and relaxation to your life! FREE for Members. Or included in general admission. Or "class-only" fee. Check in at Visitors Center. 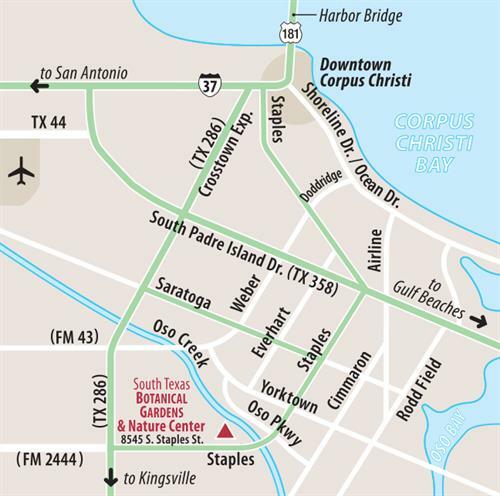 8545 S. Staples St., Corpus Christi TX 78413. Wednesday, February 13, 2019, 10:30 am.